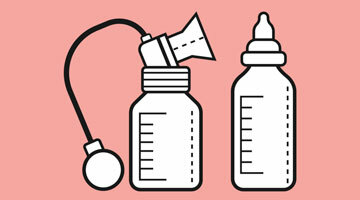 Bottle Up author Suzanne Barston provides some insightful bottle feeding tips. Parents are often very unsure about the amount and frequency of what they should be feeding their baby. The general rule of thumb is to feed 2.5 ounces of formula for every pound of your baby’s body weight. Since babies’ appetites can vary, the best thing is to feed based on hunger cues, similar to breastfeeding.